A professionally written press release can make a huge difference for a new author or new book release. 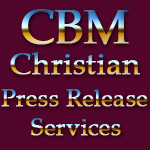 With a professionally written and submitted press release written by Christian Book Marketing’s Press Release department, both you as author and your new book release will receive expanded exposure. Professionally Announce Your Christian Book Release! Gather The Attention of Media! Professionally Promote Your Book ! Tap Into The Major Search Engines ! Get More Visitors To Your Site ! 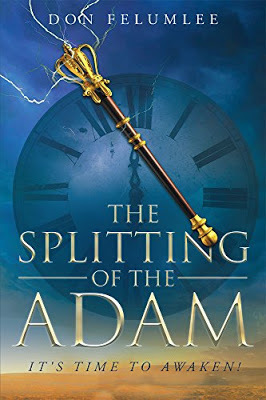 Waynesville, Ohio - Author and teacher, Don Felumlee, releases his new book: The Splitting of the Adam: It’s Time to Awaken! Written to expose the word of truth, revealing that the Bible interprets itself, thus unveiling a journey to spiritual maturity for the Bride of Christ into the image of Christ. Stating that those who believe are called to become spiritually mature, revealing a need to utter abandonment in the Lord. The author makes it abundantly clear that it is the Harvest that is first and foremost on the Lord’s mind. Therefore, he sounds a great awakening call like a Trumpet - to the sleeping Church. With prophetic insight and keen scriptural study, he presents to readers the spiritual ascension of Jesus’ Bride-as the image of Christ- and brings a Biblical understanding of what that will look like. Written to those who understand that the Lord requires a surrendered heart, mind and soul, Felumlee points to a great awakening coming to shake His Church, as we approach the coming of the Lord, that will be encompassed by the hope and power of the Kingdom that is available to EVERY BELIEVER. With a multi-faceted approach, author and teacher Don Felumlee speaks on the subject of maturity and the End Times, debunking traditional beliefs on such subjects as: The Rapture, The Great Tribulation, the Bride of Christ, offering the importance of teachings from the Bible and Jesus’ parables on His appearing and the Ten Virgins. This book opens eyes and hearts to understanding that a Splitting of the Adam must occur as the author states, offering a fresh and divine perspective. Fascinating, Don Felemlee’s new book brings revelation of the Word and deep scriptural truths, recommended for new and mature believers alike. As an author, teacher and one who has studied his Bible for many years, holding a Bachelor’s Degree in Education from Ohio State and a Diploma from Rhema Correspondence Program in Tulsa, Oklahoma, Don Felumlee wants believers to know the power that is available to them through Christ in the here and now. He states, What Satan is most afraid of, is that sooner or later, every believer will ultimately discover the power of the Kingdom in the right here and now! His purpose is become a voice to all who would heed Christ’s call to His End Time Church, stating that, his eternal purpose and calling has grown ever so abundantly clear: to become a third-day battering ram against the lifeless traditions of present-day Christendom so that the image of God can be gloriously reformed within every believer! He, his wife, Stacy, and their six loving children currently reside in the small, historic village of Waynesville, Ohio.